As a standard routine for the company that employs me, lunch time is usually 12:00 to 12:45 PM. My job description however puts me on the road for the logistics portion of the business during those hours. With the upcoming Easter holiday, schedules have changed with some clients of ours and I happened to be at the home office in St. Charles, Il during the lunch break. I was outside the building at 12:30 PM or very close to that time by myself. I know by habit that my friend and co-worker Bill comes out to have a smoke around that time. 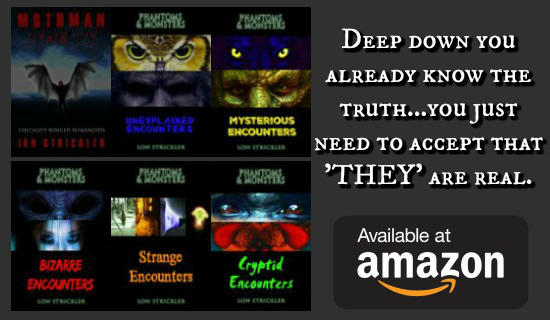 I was facing south leaning against the tall guardrail in the driveway, when my attention was grabbed from the top of my eye. I took a moment to to figure out what I was looking at and soon realized it was a bird. It had circled once in a huge diameter and before it were to head out of view. This thing was enormous. I say that by the speed in which it circled seemed so slow and it moved like a circling airplane with no wing flap. I literally ran to my desk from outside which is only 10 feet from the outside door to get my phone in hope of getting some sort of picture. I ran back out and now I began to shake as to what I'm seeing. Just then Bill came outside and said "What?" since he saw me scanning the sky with my phone on camera mode. It only took him a second to see it too. 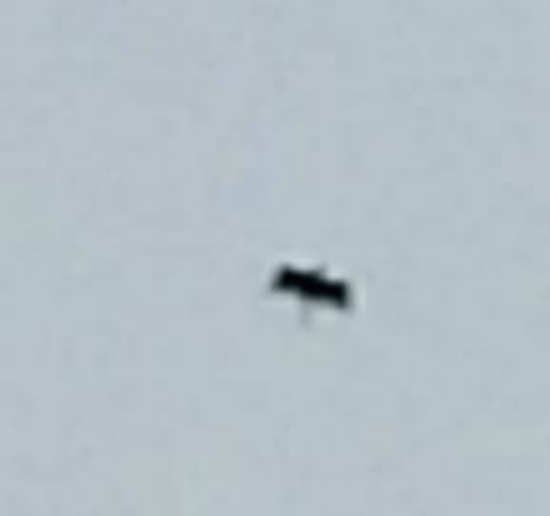 This thing was flying over our heads at about 900 to 1000 feet up. I have spent 13 years in the aviation business and it's a habit to identify planes by nature. For the business that Bill and myself do for a living, we both have a great sense of movement and judgement for distance. I said out loud that the wingspan of this creature was at least 8 feet and I compared it to the length of a horse and or cow. Bill was wowed by it as I was too. I mentioned before that I was shaking from excitement and shock I think while trying to capture those photos. I have to say while this all took place in less than a minute (including me running for my phone) we both were left saying WTF? That was freaking huge. I'm pretty well versed in the large bird variety around northern Illinois. St. Charles is 30 miles due west of Chicago. 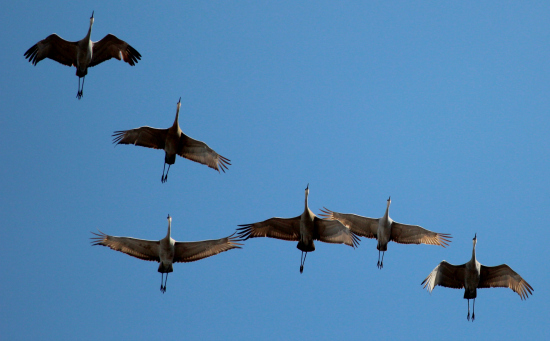 Sandhill Cranes are in migration right now and most all cranes fly in groups. As a matter of fact I've never seen one solo in flight or on the ground. Herons and Egrets are more visible now with warmer weather coming as well as the Turkey Vultures. 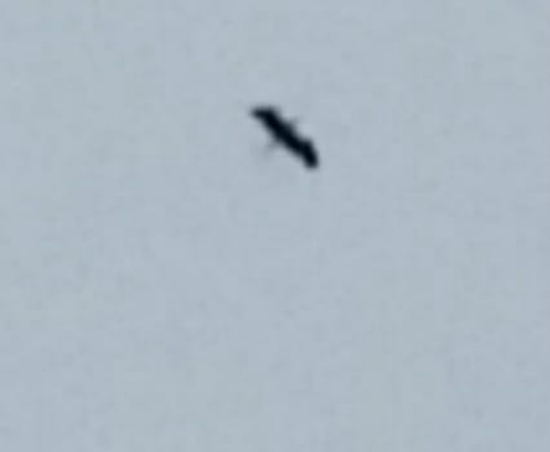 I know for certain that this creature we saw was at least double in size to the Sandhills and would dwarf a Vulture. I should include that I have seen a number of Bald Eagles here too on the Fox River which runs through St. Charles. Again whatever we saw was so much bigger and traveled what seemed so slow from south to north. The wings showed no typical fingers on the tips as the other birds mentioned have and I found that to be odd. 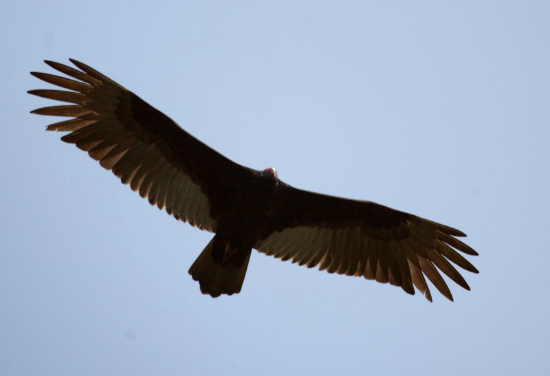 The body and wings were a solid black in color, it was very uniformed. 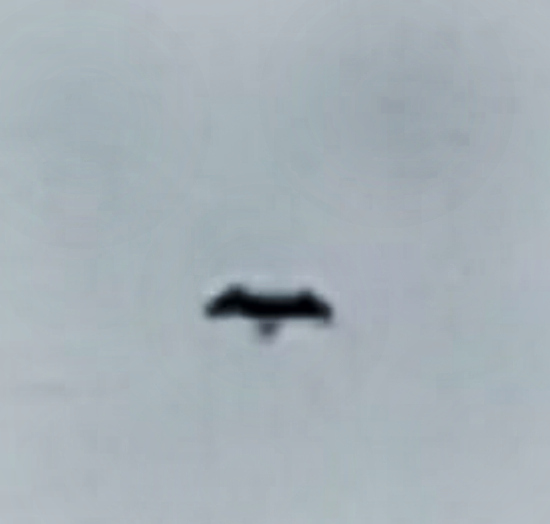 I did feel strongly however that this being was a bird and not a flying humanoid. Funny thing, I'm still shaking while writing this. 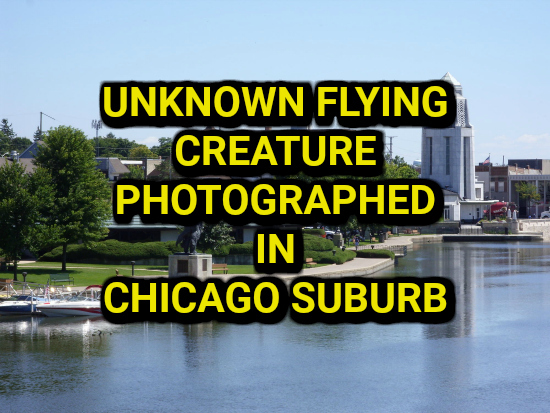 I'd be really interested in facts and not exploited stories about what this creature is. 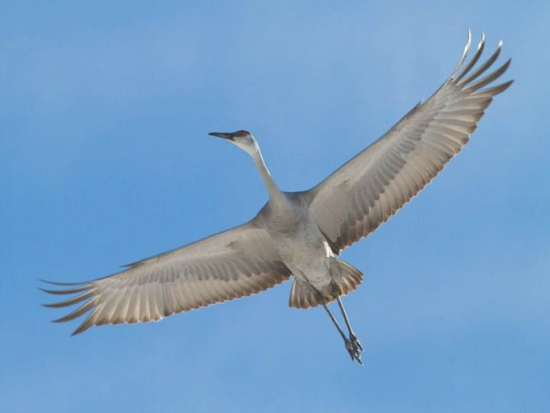 I am unaware of any wingspan larger than a crane in North America. 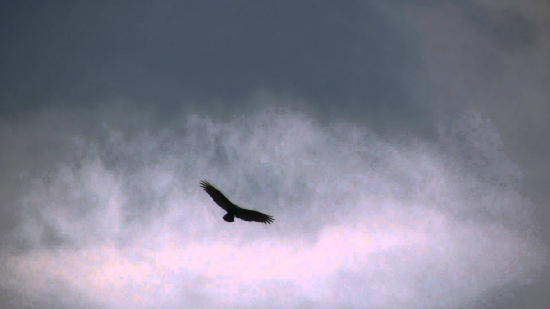 I wouldn't rule out a Condor however the long thin legs trailing behind made this all the more odd.